Multiple former staffers told the Huffington Post that the senator, who cultivates the image of a nice, laid-back girl from the MidWest, is quite the opposite and that at least three people have turned down the chance to run her campaign because of the stories about her. 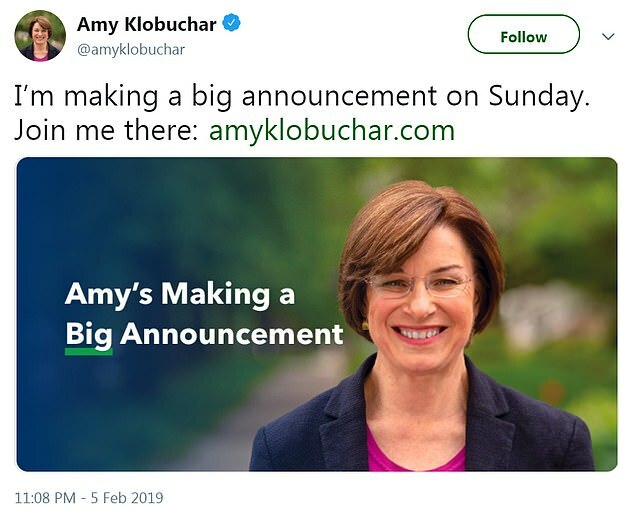 The report comes as Klobuchar is set to announce her decision on a 2020 campaign on Sunday in Minneapolis. She has been setting the stage for her chance to win the Democratic nomination. 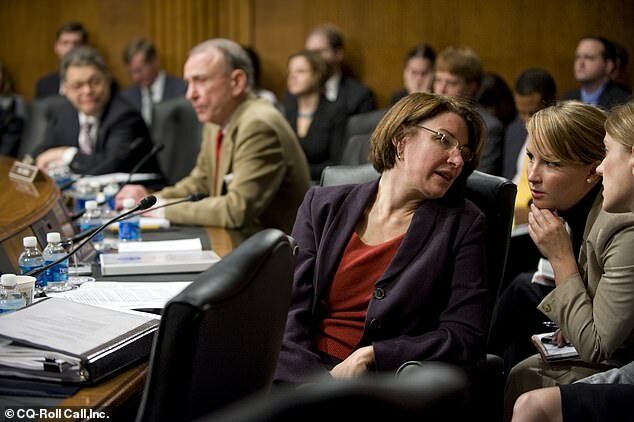 But staff describe the senator as a demanding boss who sends dozens of emails over night accusing of them of bad work, ccing multiple colleagues on said emails to publicly embarrass them with her floggings, and using aides to perform personal tasks such as washing dishes at her home or picking up her dry cleaning. One staffer even recalled how the senator would write out tardy slips to staffers who came to the office late. Long hours, being pulled into personal tasks, and temper tantrums can and does happen in offices on Capitol Hill where the political pressure turns the professional environment into a pressure cooker. And staffers are generally over worked and under paid compared to members of Congress. 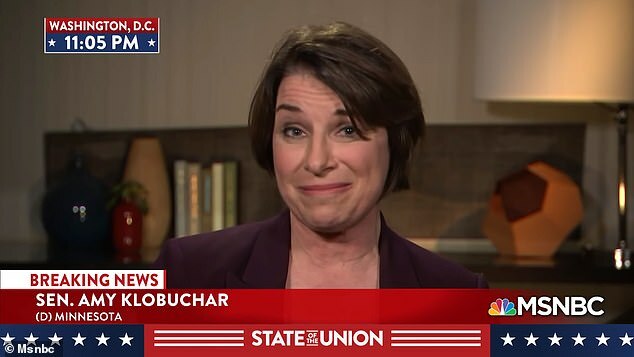 Klobuchar's Senate salary is $174,000. 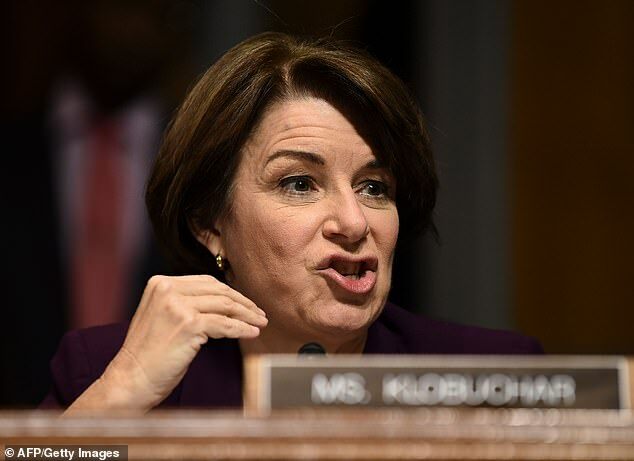 But the criticism comes as Klobuchar prepares to enter the national spotlight as part of the crowded Democratic presidential primary field, where the tiniest infraction can be multiplied into days of bad news. Other former staffers, however, defended the senator, saying she puts in long hours and demands that her office meet the high standards she sets for herself. And some questioned whether former co-workers who thought she was abusive were falling for sexist stereotypes about female leaders with high standards. 'I've heard people say she's tough to work for and I sometimes cringe when I hear it because I rarely hear that said about male bosses in Congress despite the fact that half of Congress is tough to work for,' Tristan Brown, a former legislative aide who called Klobuchar 'probably the most brilliant, hardworking person I've had the privilege to work for,' told the Huffington Post. A troubling sign, however, is that Klobuchar's office has one of the highest rates of staff turnover in the Senate. From 2001 to 2016, she was No. 1 in the Senate for staff turnover as measured by LegiStorm, a widely used database of congressional staff information. She's now third.